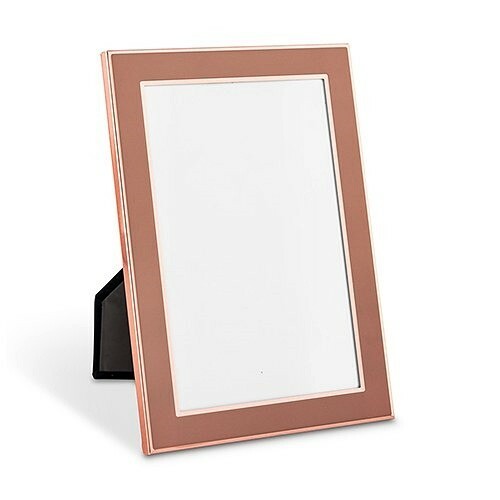 Dimensions: 6 7/8" x 4 7/8" x 1/4"
For a unique favor idea or as a gift for your wedding party, this pretty rose gold picture frame will fit in with any wedding theme. Use as a place card holder, table number holder or buffet marker. Finished with black velvet on the reverse side means it will look nice from any direction. Materials: aluminum, paper and glass.